Continued from Anti-6X His tag antibodies, today I will overview Anti-V5 tag Mouse Monoclonal Antibodies. The V5 tag is derived from a small epitope (Pk) found on the P and V proteins of the paramyxovirus of simian virus 5 (SV5). The V5 tag is generally used with all 14 amino acids (GKPIPNPLLGLDST), but it may also be used with a shorter 9-amino acid (IPNPLLGLD) sequence. V5 tag antibodies provide a dependable method for the detection and purification of tagged target proteins without a protein-specific antibody or probe. 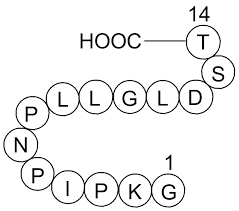 The V5 epitope tag is commonly engineered onto the N- or C- terminus of a protein of interest so that the tagged protein can be analyzed and visualized using immunochemical methods. Abbkine offers a wide selection of such as AbFluor 350, 405, 488, 555, 594, 647, 680, Cy3, Cy5, FITC, agarose, magnetic beads and HRP conjugated anti-V5 tag Mouse Monoclonal antibodies for your choice. About Abbkine Scientific Co., Ltd.
Abbkine Scientific Co., Ltd. is a leading biotechnology company that focuses on developing and providing innovative, high quality assay kits, recombinant proteins, antibodies and other research tools to accelerate life science fundamental research, drug discovery, etc. Find more details, please visit the website at Abbkine. Anti-Myc tag antibodies will be continued next time.